First of all let me say a sorry, for the September blog being late. I decided to put it out a bit later so my Amsterdam, Jamie-Lee, and Doncaster Wild Life Park could get a few more views. Here we are in September. All ready the leaves are turning brown and dropping off the trees. Back home after a fair sleep in my own bed. Foot is swollen and sore after twisting it in Amsterdam. Summer is back today Lindsay and the boys are bringing her. She came in like a tornado. High fiving me and so excited to see me. The boys said she had bean good and they all will miss her. I think Summer was pleased to be home though. I know I was, its always hard travelling for me and walking around places that you don't know, always getting lost..
Next door had a barbecue and she invited herself so most of the early evening she was round there. I took her for a walk and even though she was tired she went straight back there. Her friend Manya was there. A golden Retriever a lovely dog. I am making some head cushions for Pilates. They are not going right and the material keeps rolling into an annoying mess. I persevered and got them ready for machining. I went to see the next door neighbours Ben and Cilla. They said they had missed. They both as well as they can be. Not a good day regarding pain again. B12 injection these are now two months apart now, they were three . Not too much soreness and pain afterwards. Spasms and very sore behind the knees. These RSD symptoms are so weird its like I have almost made them up. At least my ankle is getting better now, most of the swelling has gone. Still a little bruised. When I took Summer for her walk at night it was a beautiful sunset. The sky was bright red, beautiful. Pilates a good session I think. I know it was a lot better than it has bean. A lot of spasms in my arms and legs. Some how I have a bruised back , quite sore. I took Jo the cushions I had made. She was pleased with them. Today I am going to Wayne's and Wills in Halifax to look after Timmy, there cat, while they are on holiday in Florida. Paul took me. Journey was quite good, pain towards the end. We had a very large (for me) carvery for dinner at 2pm. I was so full I did not eat any more that day. So good though. A squirrel in Wayne's next door garden. A fair night for me up about 7.30. I am going to tidy and clean a few cupboards for them. Even though I am having a few days break I still need to keep busy. Looking after Timmy, he is a big cat and does not like too much fuss. He did come for a stroke and a play with me and his toys though and sat with me a lot of the time. Early morning (2.30) I got a call from Lindsay, her waters had broken so baby was on the way. A month early. 7.45am another call the baby had arrived , a little girl no name as yet and no known weight. She had just delivered her after a very short labour. Lindsay went in about 6am . How nice I said it would be a girl and early. More pictures on Jamie-Lee Blog. Did some shopping in Halifax town. Home very tired thought I would watch a DVD not as easy as I thought. All the system is wired into the computer and sound system. So many remotes. Wayne was on skype so he sorted it out for me. 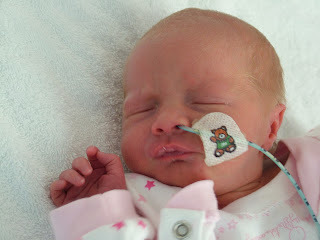 The baby is to be called Jamie-Lee Rihanna she weighed 5lb 2.5oz Now I will have to wait till I get back to see her. Lindsay did send me a picture on skype so that was good. A pretty little girl.. Supposed to be going home today but woke to a violent head ache, My balance is not good so a steady day. I will be stopping another day. I think Timmy is pleased. I felt better in the afternoon after I went for a walk. A very unusual looking cat that was asleep in a front garden. Home today- I have enjoyed my time with Timmy cat. I have helped Wayne a bit as well by sorting a few cupboards out and a bit of cleaning. A nice change from home. The journey home was good not too much pain. After a rest off to see Jamie-Lee. She is so sweet and tiny. Well worth the wait. They are both still in Hospital but doing ok. Hopefully home soon. Pilates a lot of spasms and pain. The weather is getting colder now, not RSD friendly.. But what is ?? Lindsay and Jamie-Lee home late afternoon. In town today to get more cloth and foam to make more pilates cushions. The rest have sold or are being used by us so more needed. I feel quite tired and drained, I hope I am not in for some thing. More like the last few days at Wayne's and the journey I hope! Not good news- Jamie-Lee has tested positive for Thyroid problems the same as Lindsay. This might be from Lindsay feeding her or when she was in the womb. Lindsay needs to keep an eye on her and watch for her eyes bulging not feeding or any thing that does not seem right. She still has direct access to the ward where she spent her first few days. So that must help Lindsay feel a little safer. Another blood test will be done in a month. This will prove more accurate. Lindsay and the boys are here with their new little sister who they are so proud of. She looks a little yellow and still has a bit of jaundice. Otherwise she is doing good. When I was in Halifax I got Jay-Jay and Tommy-Lee a present a BMX stake board set with ramps. A play with one not play on type. They thought it was GREAT. Lots of hugs and kisses. Summer had a look at Jamie- Lee She thought she was very nice and sat guarding her most of the day. Summer loves children and babies. She had not seen one this small though. The little boy (Ben) from two doors away came round to play as well. They were all happy and had a good time. Pity I was not the same I ache like I have the flu. A lot of extra MORPHINE and IBUPROFEN as well. Not a good day. Still a lot of PAIN the walk on the common was not good very tight and stiff everywhere. More pills. As the day wore on I loosened up a bit and the pain lessened. I was able to get on and do the cushions for pilates. These went a lot better practise makes perfect. Wayne arrived late evening. He has come to stay for the night so he can see Jamie-Lee and of course the boys and Lindsay. Lindsay says Jamie-Lee is very yellow and might need to go back in hospital for a while. The midwife is keeping a special eye on her. Pilates-This went well, the best for a while a few spasms and pain still, but I know I will always have pain. Gave Jo the cushions, 2nd lot she would like some more as well. No problem I said will get the stuff and make another set soon. Wayne went to see Lindsay and Jamie-Lee. He said she was so tiny. He did not hold her, but will when she is bigger .Wayne was here for the Afternoon then headed to the station to get his train back to Halifax. Paul took him to Newark station. So good to see him if only for a short while. He got to see the new baby as well so all good. Lindsay and the boys are going to the fair so Jamie-Lee is stopping with me. This is the first time Lindsay has left her so a bit apprehensive. She knew she would be safe with me. Off they all went to the fair to have a good time. Summer is laid right next to Jamie-Lees Moses basket looking after her. After a while she woke up and decided she was hungry. Lindsay is feeding her so no bottle to give her. I cuddled her for a while and she was happy, Then she was starving, she is very strong lifting her head up and throwing her arms around. Lindsay was soon here and she was fed, one happy baby. Lindsay calls her fat face after a feed. The boys enjoyed the fair very much, having rides and they won a sword set each. So they too were happy. Off they all went home to bed. I have an appointment with the physio I had acupuncture with earlier this year. This only a review on what has being going on since I last saw him. After talking for a while he asked me what he could do for me. I said a massage would be nice. He massaged my very tight shoulders and neck. Quite painful, when Wietse used to treat me, he cared, because he was more than a physio. This massage felt like he did not care. no reassuring words like Wietse. I know Wietse was a once in a life time dream and I was so lucky to have him. I know I will never find another Wietse. After the massage he asked about my RSD foot I said RSD was not just in my foot. HE SAID RSD DOES NOT SPREAD. I said what do you know about RSD he said not a lot. How can you sit there and say RSD does not spread when I am the proof. I was very angry almost in tears. He said there would be no chance of any more physio with him as he had a years waiting list . He said maybe I should reconsider the Lidocane infusions for my FIBROMYALGIA. I said no one has bean able to tell me what it would do to my RSD. So I will not have it done It could make my RSD worse. Unless some one has some answers for me. I was not too bothered about what he said about physio. If I get more physio it will be with some one who cares a bit more and hopefully understands RSD. The acupuncture I got from him earlier in the year was good though. Lindsay and boys and baby here. Ben from two doors away also here I think he saw them arrive. I said he can come round for a while. Jamie still a little yellow but the midwife is pleased with her. The boys have both got colds so not good for Jamie-Lee. We are out tonight for a meal with my brother David and sister in law Bev. A carvery was decided on. A very good meal and nice to be having it with them. But guess what a lot of pain and spasms the sort that have you squirming in your seat. Very painful. Took more MORPHINE. This helps but can make me feel sick. Took Summer for her walk and when I got back Russ and his Mum were here with the children. An extra bonus was I got to go with her and look around the Cathedral. A very lovely place to see. We had a cup of tea and a teacake in the cafe, all very nice and unexpected. A very nice afternoon. Summer had her haircut and bath she looks very sweet and so clean, but not for long. Cleaned upstairs something was going to do yesterday. Pain still not good. Too many spasms. Spasms are very frequent and strong, 20 going down a short walk from park to common. A lot of extra pills. Went to Lindsay's to help her out a bit. Poor Jamie-Lee has a cold and is quite poorly and very unsettled. The midwife is checking up on her, and so long as she keeps feeding and it does not go on her chest or get a temperature she should be alright. 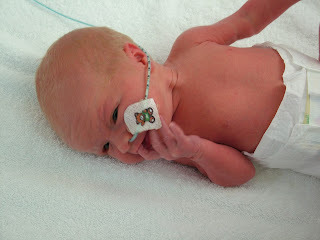 One of my friends daughter has had a baby girl Ava Violet. Both well. Pilates- Kill or cure today as a lot of pain and dreaded spasms. I hope pilates will help loosen me up. I managed quite well in the end and did feel better after I think. Paul's birthday went for a meal at the Phoenix a Chinese restaurant across the road from us even though it has bean open all the time we have lived here we have never bean. A very nice meal it was too. My friend Bev is here for the day. She told there might be someone who could help me with physio and acupuncture More about that at a later date. A good day, walked a lot but was feeling quite good. Dentist for a check up. I have a little wisdom tooth that has bean hurting on and off. The tooth might have to come out but that will be a hospital job. I think RSD affects my teeth as well. Why not it gets every thing else. Check up apart from that good. Went to see some friends ended up stopping for tea, a stir fry very good too. A good note to end this blog , the bit I mentioned about some help with physio might be coming true. He is looking at the blog and RSD and letting me know. May be some help at last.